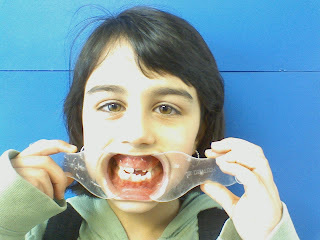 Hannah had her first Orthodontic appointment on 2/18/2008. One of the first things they do is photograph the teeth. Apparently, she needs a mouth widener as there isn't enough space for her new teeth to grow into. Well, the cost of this treatment is approximately $1700.00! Ouch!